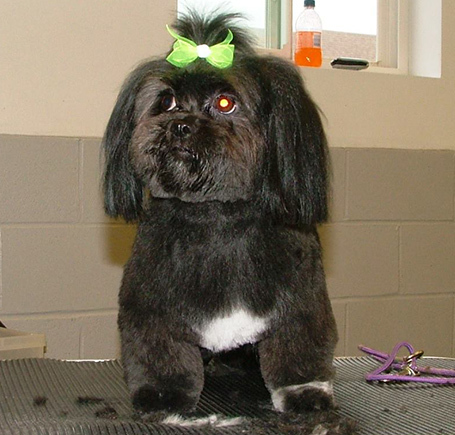 Pet grooming is an art that is mastered with experience and knowledge. 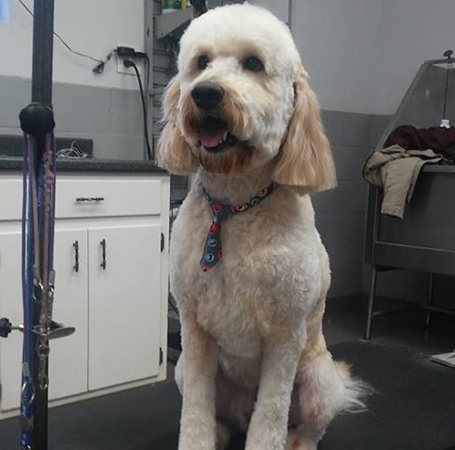 At Ultimate Canine Care, all of our certified dog groomers have gone through extensive training courses to ensure they know how to cut any breed to standard. Our owner oversees everything to make sure each pup leaves our facility looking fantastic. Let us pamper your dog today. The HydroSurg - A therapeutic bathing system that produces an invigorating whirlpool action that enhances the effectiveness of shampoos and conditioners. It also gently removes loose hair, dead skin, and dirt. TropiClean SPA Shampoos and Conditioners - Coconut-based products that contain botanical and tropical ingredients, such as papaya, kiwi, awapuhi (bitter ginger), chamomile, yucca, and neem. Each of these soap-free formulas can be used safely with flea control programs, such as Frontline, Advantage, and BioSpot. Most dogs only need to be bathed every 2 to 4 weeks, unless they have a penchant for rolling in the mud. Bathing your dog too often can be unhealthy, as it will wash away natural oils necessary for proper skin and fur health. When we bath your dog, we only use hypoallergenic shampoos that are safe for pets with sensitive skin. Not only does brushing leave your dog's coat looking great, it also distributes healthy natural oils and removes dead skin and hair. If possible, try to brush your dog every few days as regular brushing leaves them looking and feeling fantastic. You should check the length of your dog's nails every 2 weeks. Keeping your canine's nails short helps them walk comfortably and prevent potential injury. Prevent infection in your dog's ears by keeping them clean. Cleaning your pup's ears at least once a week will make them more comfortable. Brushing your dog's teeth is vital to their well-being. We recommend brushing your pet's teeth 2 to 3 times a week to promote proper oral health.